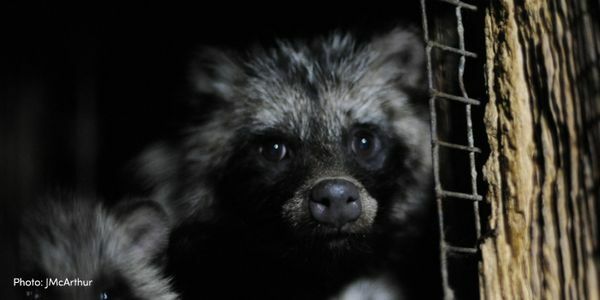 petition: The Kooples: Stop Selling Real Racoon Fur! The Kooples: Stop Selling Real Racoon Fur! Racoons are farmed in horrific conditions in cramped, filthy cages where they spend their whole lives. It is inhumane and cruel. The Kooples pledged in 2016 that they would not sell any real fur in their future collections and got positive PR as a result. 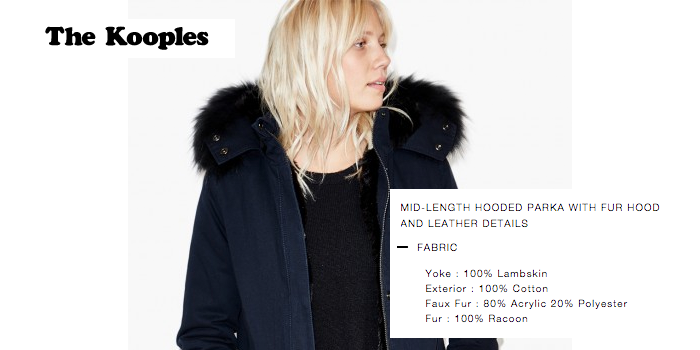 However, at least one coat currently advertised on their website in February 2018 is advertised as having "100% Racoon Fur" on it! The Kooples are breaking their own promise. Sign now to tell The Kooples to pull this and any other real fur product from sale immediately. The coat includes a faux-fur lining and a real fur trim, so it would be easy for a shopper to assume the whole thing is faux and to buy real fur without realising. Fur farming is illegal in the UK but unfortunately importing and selling fur is still legal.